I played in band/stage band from 4th grade through senior high school in Jennings, MO, a suburb of St. Louis. I was in all-county band in 1958 and 1959 and did trio, solo and brass ensemble work in state competition in St. Louis and Kansas City. I played one year in college band (Culver Stockton College) and two years in ROTC band at Southwest Missouri State in Springfield, MO. I played in big band groups and small combos in high school and college. I was inactive in instrumental music for 42 yrs until 2007 when I started playing here in the Dallas area after practicing at home for 6 months. I now am active in: New Horizons Band Dallas, UpSwing Jazz band, Town North Concert Band, Custer Road United Methodist orchestra and brass ensemble in Plano. I love playing in community bands and am making so many new friends and experiencing the joy and personal growth which have always been what music means to me. Ronald Edwin Kukal, our beloved husband, father, brother, grandfather and friend went home to be with our Lord on July 21st, 2017. He was surrounded by his family and friends. Ron was born in St. Louis, Missouri on May 25th, 1941. He worked for AT&T for thirty-two years in sales. He retired from the communications industry at forty-three years old and he began a new career in selling adjustable beds. He had inherited the business from his father-in-law, Rodney Fletcher. He sold and repaired adjustable beds for twenty plus years. During this time, he often had the opportunity to share his love for the Lord with many of his customers. 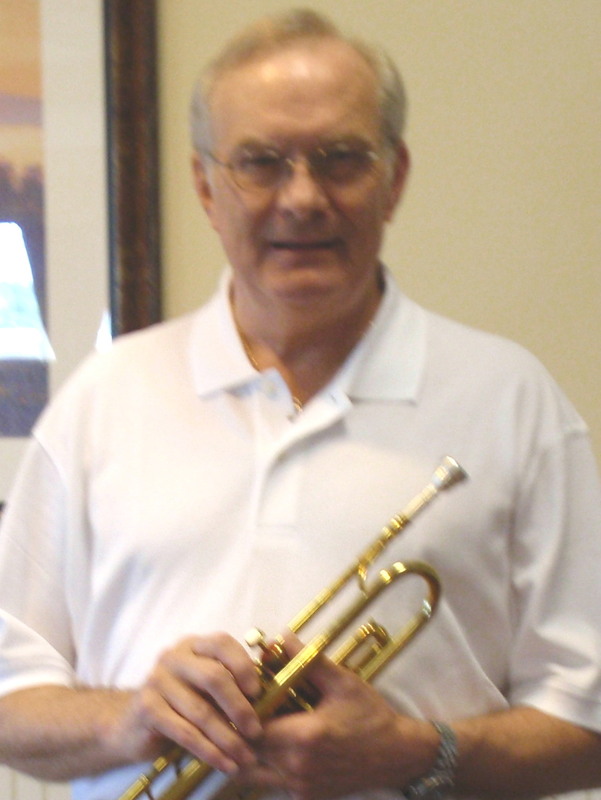 In his late sixties, he returned to a love of music that he had early in life with playing the trumpet. He was in five bands and very active with the many concerts at various local venues until losing his sight three years ago due to illness. He loved interacting with people and never knew a stranger. We shall miss him greatly but know in our hearts that he is now playing glorious music on his horn for his creator and the angels. He is preceded in death by his parents, George and Marie Kukal. He is survived by his loving wife, Beverly Kukal of Dallas, daughter Beth Kukal of Dallas, daughter Margaret Sylvester and husband Tony Sylvester of Plano, step-daughter Shannon Griffin and husband Greg Ball of Savannah, grandson Calvin Sylvester and wife Scarlett Sylvester of Dallas, grandson Sam Sylvester of Plano, granddaughter Yasmine Griffin of Savannah, brother Gerry Kukal of Las Vegas, Nevada and former wife and friend Mary Kukal of Plano. The memorial service will be held on Thursday, July 27th at 11:00am at Arapaho United Methodist Church located at 1400 W. Arapaho Road, Richardson, Texas. Flowers may be sent to the church or a donation may be made in Ron's name.